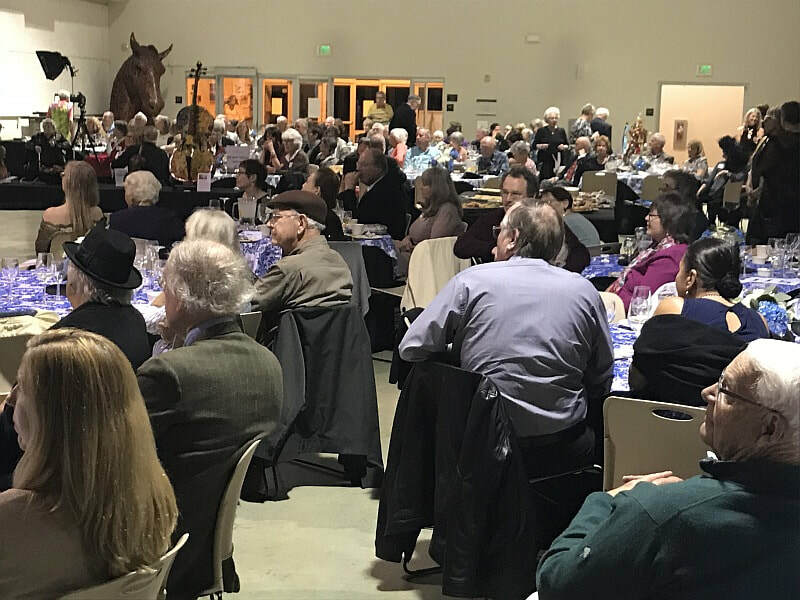 Thanks to the generous crowd that attended the Santa Rosa Symphony League fundraiser "Evening in Vienna" multiple thousands of dollars were raised to help pay for 70 excellent young musicians to go on tour in Austria. 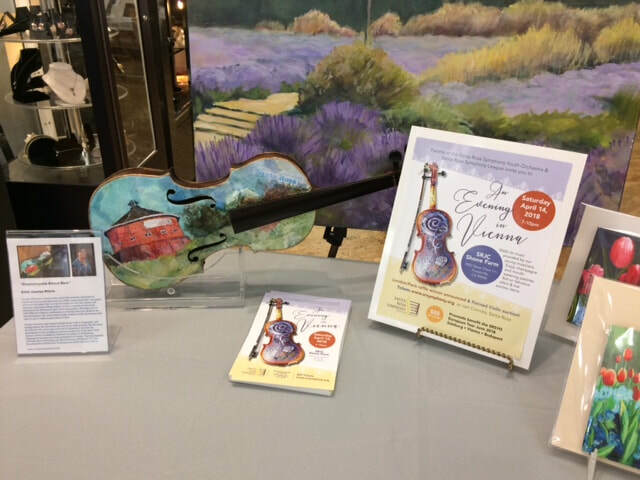 My violin alone raised over $1,000 during the live auction portion of the evening. 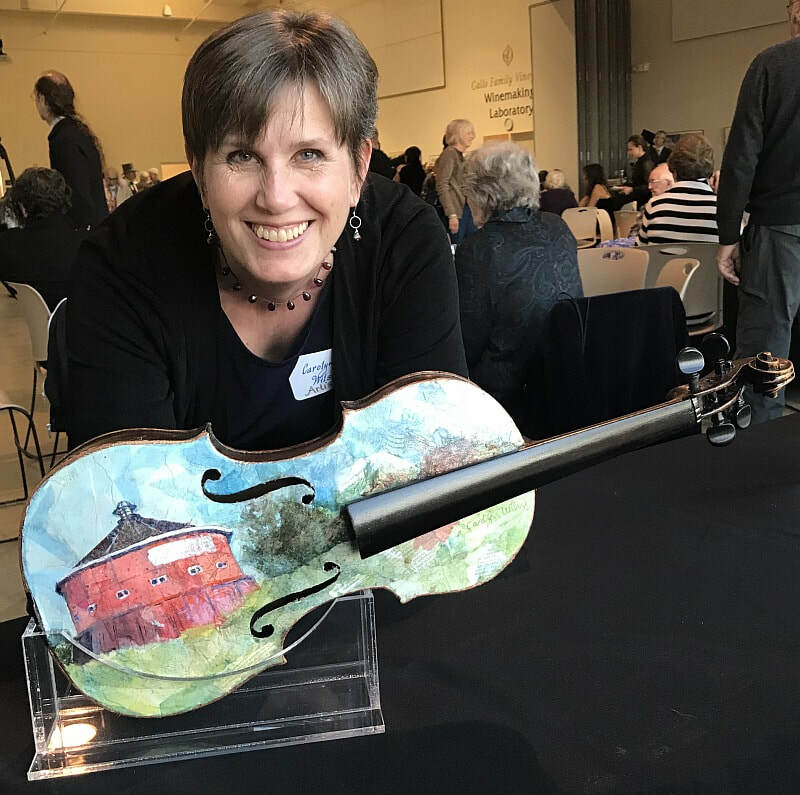 24 Artists from Sonoma County were given broken and unplayable instruments to turn into works of art. To see pictures of many of the other creative violins check out the article in the Press Democrat here. 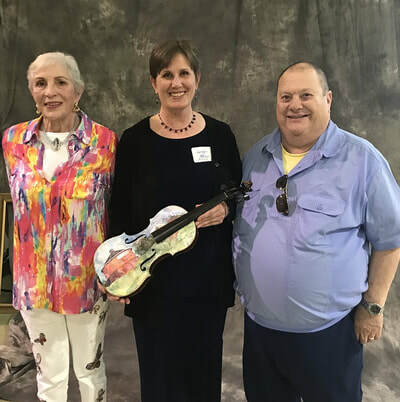 Generous supporters of the arts and music. 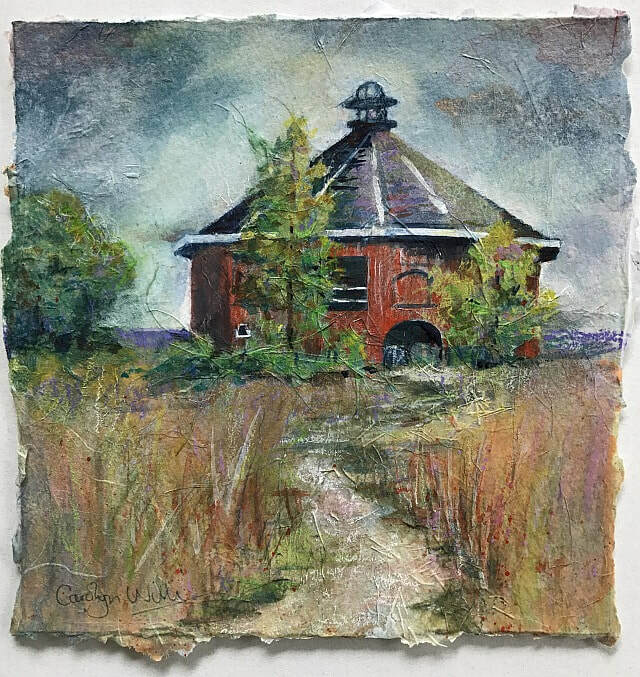 The Fountaingrove Round Barn as we will fondly remember it.... painted earlier this year in the spring of 2017. I plan to start taking orders for small (7"x7") fine art giclée reproductions of this painting during Sonoma County Art Trails this weekend. 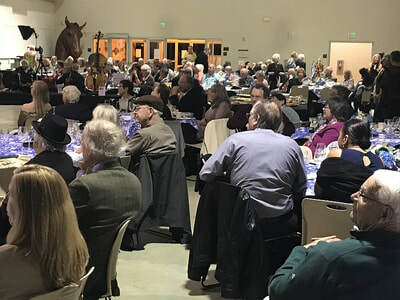 All money from the sale of this reproduction will be donated to Redwood Credit Union North Bay Fire Relief Fund, which guarantees 100% of donations directly aids victims in our community. Please use my contact page if you are interested in placing an order. I have prints on watercolor paper in stock. 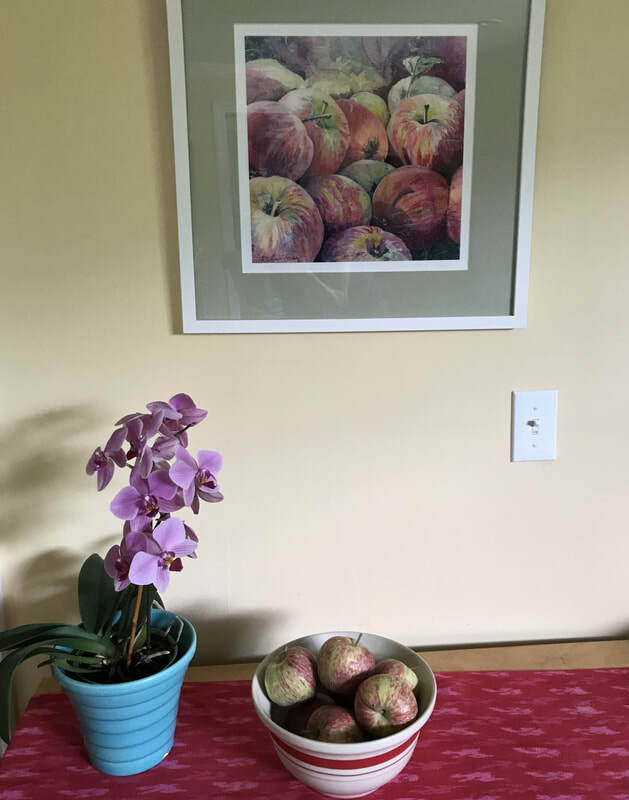 Prints come complete with archival mat - to fit a 12 x 12 inch frame (standard size - readily available). Suggested donation is $50 for matted, ready to frame print ($40 for unmatted) ... it's all going for a great cause. Thank you. 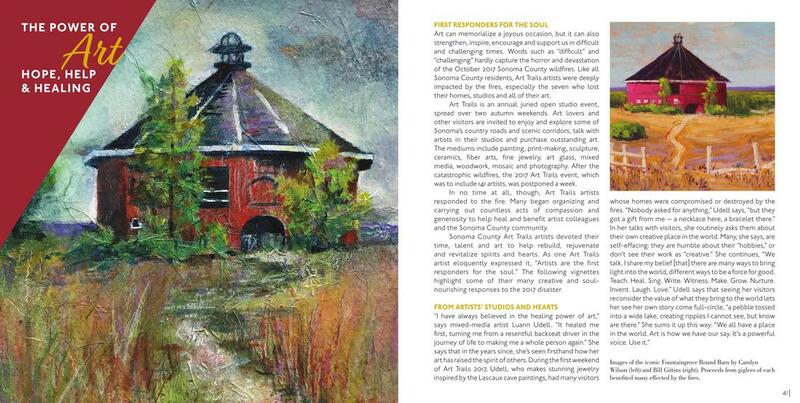 UPDATE: As of 11/24-17 Round Barn prints are also available at Upstairs Art Gallery, 306 Center Street, Healdsburg. Open 11-6 daily. ©Carolyn Wilson, Fountaingrove Round Barn. 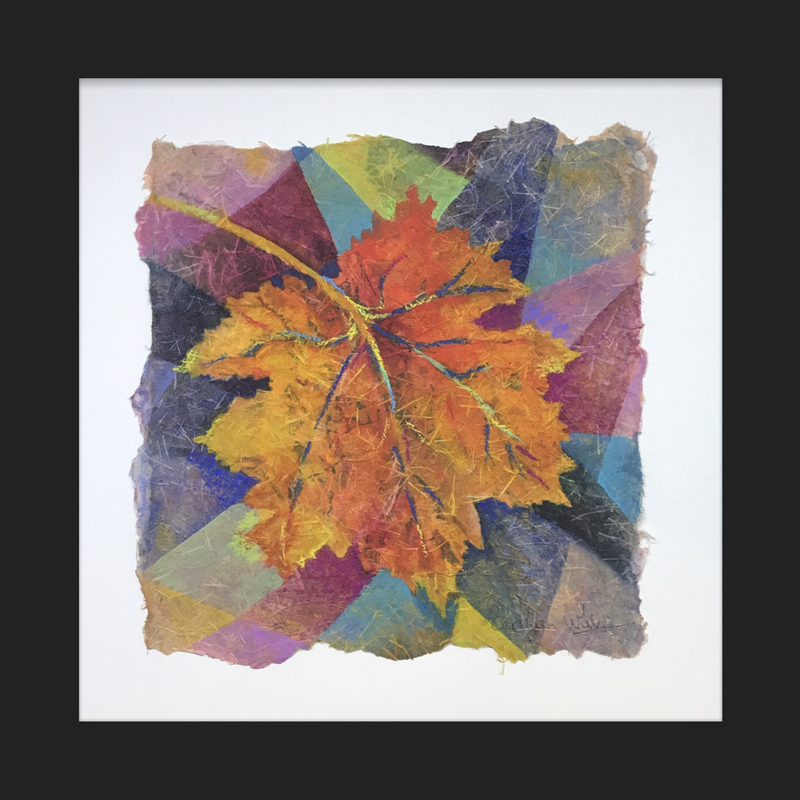 Mixed media, 7"x7"
The original painting has just been purchased, and 100% of the money has been donated to Art Trails Artist Relief Fund. 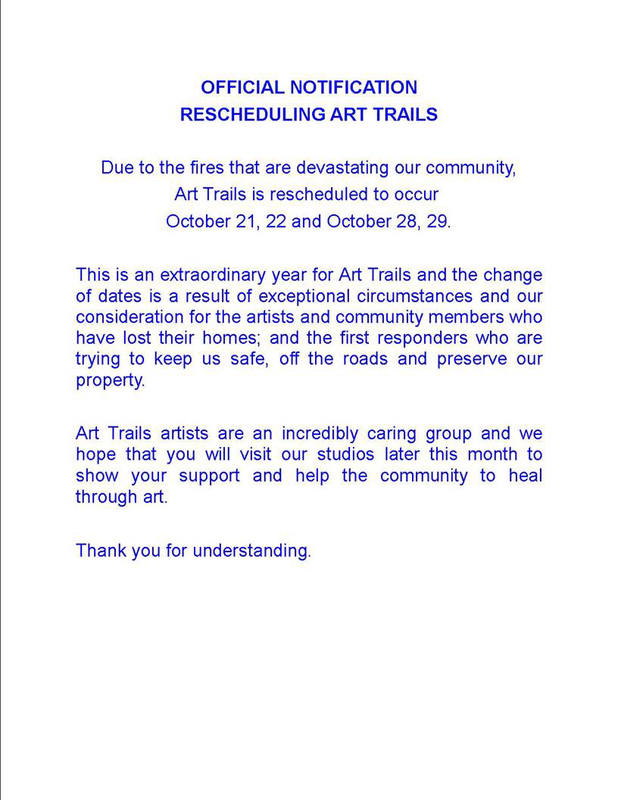 You can still see the original painting at my Sebastopol art studio during the 2 weekends of Sonoma County Art Trails October 21/22 and 28/29 before it goes to its new home.